Well it was firstly a very calm and composed interview. Karan Thaparwas the interviewer. Arundhati Roy and Prashant Bhushan were the panelists. Prashant Bhushan was an active member of the NBA (Narmada Bachao Andolan). Arundhati Roy started her talk by condemning the violence which happened on the 6th of April.The questions were asked respectfully with the principle of 'respect the speaker' in mind. 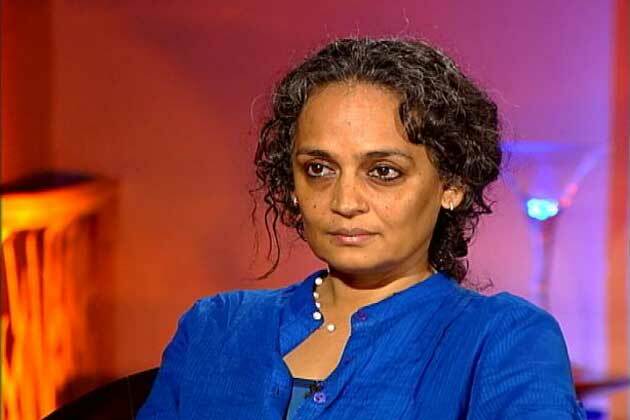 Arundhati Roy did say that the govt was pretty sure that the lives of the jawans wud be lost. It was something like the govt deciding the last day of the jawans. She said that the support she recd for her 31 page essay in Outlook[29mar 2010] was overwhelming. It reminded her of the support she received during her 'The God of Small Things' days. She knew she wud be abused for the same. Barkha Dutt: We do not need more 36 page essay on the good folk of Dantewada. Nidhi Razdan: I'm sick of this romanticism. Where is this Arundhati Roy know?